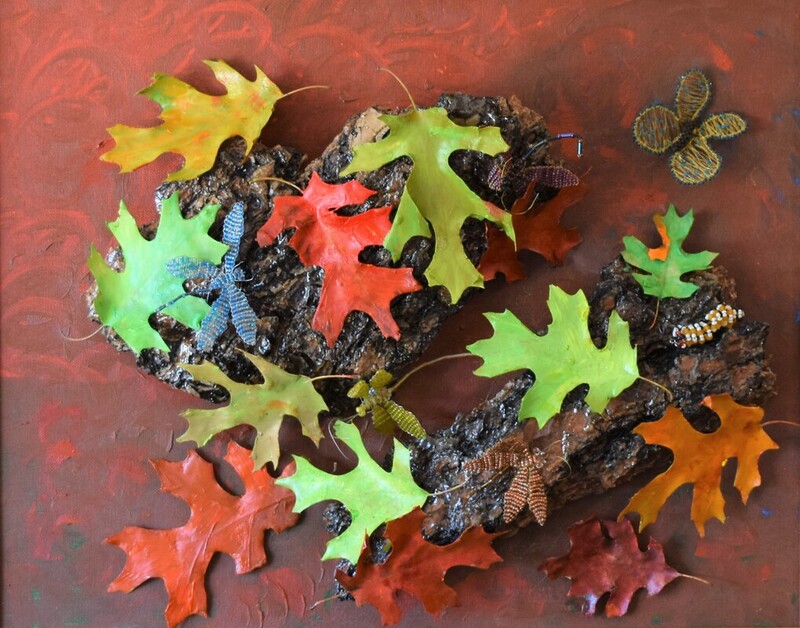 Fall Frolic is a mixed media piece The frame and canvas board support piece of bark from a tree in the mountains, it has been treated with resin to preserve it and to give it a nice shine. The leaves are genuine leaves from oak trees and have also been treated with resin to keep them from decay. I paint them and place them on the bark. Fall Frolic is a 20" by 16 " 20" by 16" canvas board framed to 24" x 20" and is priced at $300.